VANCOUVER — The Liberal candidate running against NDP Leader Jagmeet Singh in a Metro Vancouver byelection dropped out of the race Wednesday after drawing criticism for an online post singling out Singh's ethnicity. Karen Wang apologized and said she did not want her comments to be a "distraction." "In trying to speak about my own story and the importance of people of all different backgrounds getting involved in this important byelection, I made comments online that also referenced Jagmeet Singh's cultural background," she said in a statement. "My choice of words wasn't well-considered and didn't reflect my intent, and for that, I sincerely apologize to Mr. Singh. I have deep respect for him as the leader of his party and for his public service — and I would never want to diminish that in any way." 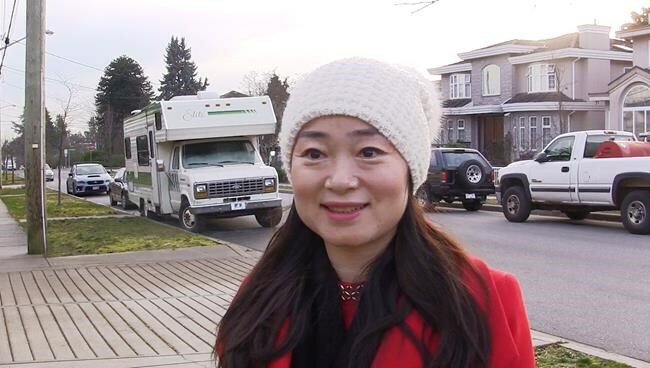 Wang wrote in a since-deleted post on Chinese social media platform WeChat that she was the "only" Chinese candidate in the riding, rather than Singh, who she identified as "of Indian descent," StarMetro Vancouver reported. "If we can increase the voting rate, as the only Chinese candidate in this riding, if I can garner 16,000 votes I will easily win the byelection, control the election race and make history! My opponent in this byelection is the NDP candidate Singh of Indian descent!" she said, according to the newspaper's translation. Political observers said Wang's sudden resignation bodes well for Singh, a former member of Ontario's legislature who is Sikh and speaks Punjabi, English and French. The Liberals did not immediately say whether they would replace Wang. The party said Wang's online comments are not aligned with its values. "The Liberal party has a clear commitment to positive politics and support for Canadian diversity," it said in a statement. The deadline for candidates to enter the byelection race is Feb. 4, and voters will cast their ballots Feb. 25. "I didn't take it personal at all. I am concerned with divisive politics," he said. "We see that in the south — divisive politics and how it tears apart a country. I want to focus in on politics that bring people together because we share so much in common." Conservative Jay Shin and Laura-Lynn Tyler Thompson of the People's Party of Canada are also running in Burnaby South. The 2016 census shows about 42,000 people in the riding identified as ethnically Chinese, while 9,270 people said they were South Asian and 455 of those identified as Punjabi. The riding had a total population of 111,000 people. Wang is the owner of a daycare business and ran unsuccessfully in the 2017 provincial election for the B.C. Liberals, which is not affiliated with the federal party. In the nomination for the byelection, Wang defeated biotechnology scientist Cyrus Eduljee. Before her resignation, experts noted her deep ties to the riding, unlike Singh. On Tuesday night, Wang was out campaigning, running from door to door speaking in Mandarin to Chinese-Canadian members of the community. She also chatted with two people of South Asian heritage who promised their support. She said she wanted to give back to her community. "When I came 20 years ago with my husband ... from China, we came with nothing, zero," she said. "I'm very proud of being a Canadian and I want to do more." Eric Li, a University of British Columbia management professor, said the reported English translation of Wang's post was roughly accurate based on a screenshot he read. "She just wanted to target a very specific group of voters, but at the end of the day you're using a platform that literally everyone could download," he said. Race is a reality of politics, especially in diverse areas, but Wang's comments went too far, said Sanjay Jeram, a senior political science lecturer at Simon Fraser University in Burnaby. "Ultimately, I think the candidates have a responsibility to try to rise above and demonstrate that politics is about representing all the citizens that live in the riding, rather than a particular group, and not trying to play groups against each other." Parties do strategize to capture voters of a particular ethnicity, he said. "The fact that she said it out loud — and brought to light something that perhaps most people are wilfully ignorant of — is the issue," said Jeram. "It might blow the lid off the fact that this has been happening for some time now." Members of the Chinese-Canadian community in Metro Vancouver said Wang made a mistake, but were divided on whether she should've stepped down. "I believe that Ms. Wang did not have negative implications with her comments, but they might not have been well thought out," said Hilbert Yiu, who is president of the Chinese Benevolent Association but was giving his personal opinion. "To step down from the position, I think that's best for her." Immigration lawyer Will Tao said she was right to apologize for the comment, but he would have liked her to stay in the race because there is a lack of Chinese-Canadian representation in politics. Other politicians have done worse and bounced back, he said. "When you are a candidate of Chinese background, your comments are going to be scrutinized even more," he said.